THQ Nordic is bringing eight games to Gamescom next month, and two of them will be new titles revealed at the show. THQ Nordic has announced it lineup for Gamescom, and of the eight games the publisher is planning to show off, two are unannounced titles. 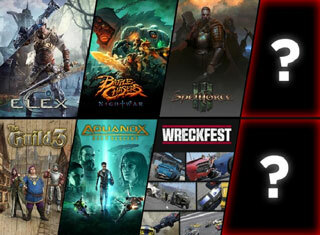 The other six are ELEX, Battle Chasers: Nightwar, SpellForce 3, Aquanox: Deep Descent, Wreckfest, and The Guild 3. The two unannounced games, though, are generating most of the interest. The company has given brief descriptions of the two games in question. One is said to be a brand new, original IP. It's an open-world RPG that tells a "post-apocalyptic kung-fu fable." That's definitely interesting. Maybe we'll get a David Carradine-like character that wanders a wasteland beating down bad guys. That could be fun. The second unannounced game is described as "a new installment of a well-known, mysterious, and horrific IP." That's an interesting description, and perusing THQ Nordic's catalog of IPs makes me think that we could be about to see a new entry in the Painkiller series. Of course, the company has acquired a lot of IPs over the past few years, so there's no guarantee of a new Painkiller, but at least we won't have to wait long to find out. Gamescom 2017 kicks off in Cologne, Germany on August 22.